Wittenborg is one of the 48 universities of applied sciences and research universities participating in the Holland Scholarship programme announced last year. Every year, 768 talented international students will receive the opportunity to do a bachelor's or master' degree in the Netherlands. Each will receive a financial contribution of €5,000 towards their studies. Note: It is unfortunately not possible to be awarded more than one scholarship, and combinations are not possible. 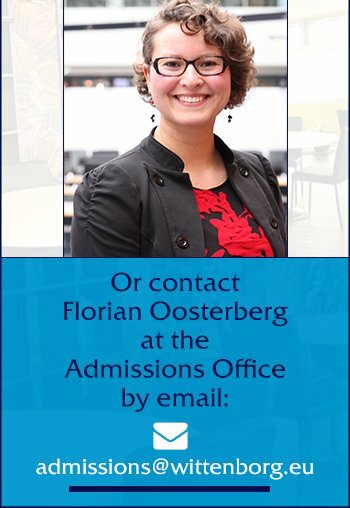 Wittenborg University is pleased to be able to offer: Twenty (20) €5,000 'Holland Scholarships' available to study a bachelor's or master's degree at Wittenborg University. Application deadline is May 1st 2019. The Holland Scholarship is paid to successful students in 10 monthly instalments starting the month they commence their studies. Terms and Conditions as found in the Education & Examination Guide (EEG) apply. Apply for the Holland Scholarship here. Apply? - If you are interested in applying for the Holland Scholarship or Wittenborg University's MBA scholarship, click here. As part of the Holland Scholarship, a total of 768 Dutch students will also receive a one-off scholarship of €1,250 to study, take up an internship, or carry out research in a country outside the European Economic Area (EEA) for a minimum of 3 months. The programme has been made possible by the Dutch Ministry of Education, Culture and Science, the VSNU (Association of Universities in the Netherlands), the Netherlands Association of Universities of Applied Sciences, and EP-Nuffic. Driving the programme is the Joint International Vision document (drawn up by VSNU and the Netherlands Association of Universities of Applied Sciences), and the Internationalisation Vision Memorandum of the minister of education (June 2014). 48 Dutch research universities and universities of applied sciences are taking part in the programme. They will also cover half of the costs involved. The Holland Scholarship programme enhances the quality of university education through the international classroom. At the same time, the programme helps to ensure that the Netherlands remains a great place to study. The Holland Scholarship makes it easier for Dutch students to take up an internship or pursue part of their studies abroad. An international experience helps students develop international skills, which will give them greater opportunities on the job market when they graduate. And the students themselves often regard a period of time abroad as a life-changing experience.